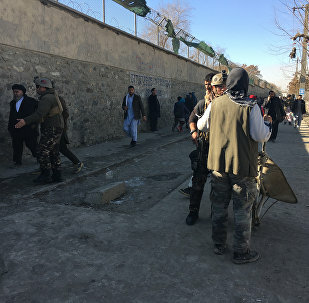 MOSCOW (Sputnik) - The bombing attack targeting the Afghan Voice News Agency on Thursday is the latest effort from terrorists trying to silence the media in Afghanistan, which raised awareness among the general public about increasing terrorist acts in the country, a Kabul-based media advocacy group told Sputnik. 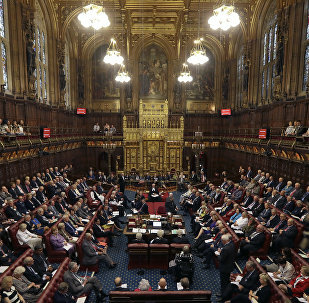 Baroness Cox, a member of the House of Lords, shared her views on the future of Syria, highlighting Russia’s success in “expelling” Islamist groups from the country and giving the Syrian people the right to choose their own future. At the same time in a revealing interview to Sputnik she expressed her concerns (and hopes) with UK policy in Syria. Russia’s expected decision to reduce the airfields provided for US surveillance under the Open Skies Treaty is part of mutual posturing during the slide toward a new Cold War, analysts told Sputnik. Just six days after he narrowly dodged impeachment on corruption charges, Peruvian President Pedro Pablo Kuczynski pardoned former dictator Alberto Fujimori, who ruled the country from 1990 to 2000. 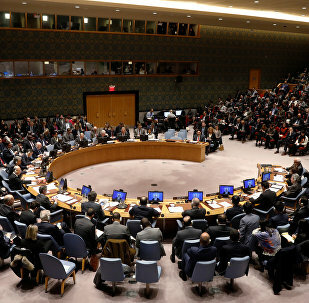 On Sunday, the Trump administration announced that its budget for the United Nations had been shaved by at least $285 million, a move that some critics say will affect the US' role in international matters. The spread of Daesh (ISIS/ISIL) in Afghanistan poses a serious challenge to Central Asian states and southern Russia. Speaking to Sputnik, Afghani observers shared their views on the current situation in the country and the prospects for eliminating the terrorist group in the region. Russia's company Technoros is developing innovative technologies for mining enterprises. The company's complexes are expected to become yet another Russian non-resource export product. One of the first countries to demonstrate its interest in the new systems was Iran, Technoros' general director, Igor Katser, told Sputnik. ICC's Inquiry Into US War Crimes: Will Justice Be Served? The International Criminal Court (ICC) has launched an investigation into alleged war crimes committed by different parties including the US military and CIA servicemen on the territory of Afghanistan and other countries since 2003. RIA Novosti political observer Vladimir Ardaev posed the question what impact the probe would have on the US. MOSCOW (Sputnik), Tommy Yang - Efforts from US-based non-governmental organizations (NGOs) to smuggle USB flash drives with information banned by Pyongyang into North Korea are unlikely to have expected effects of changing mindsets of the North Korean public, experts told Sputnik. 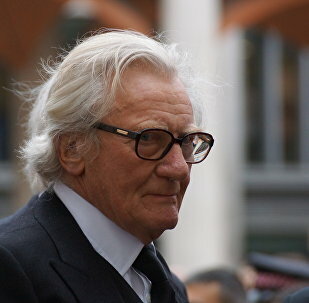 Margaret Thatcher’s former deputy Michael Heseltine has suggested a future Labour Government may even abandon Brexit altogether. Heseltine famously resigned from Mrs. Thatcher's government in 1986 after his support for a European rescue of UK helicopter firm Westland was ignored, in favor of a US-led bid. MOSCOW (Sputnik), Anastasia Dmitrieva - OPEC and their non-OPEC allies, led by Saudi Arabia and Russia, have succeeded this year in setting in motion the process of rebalancing the oil market, with crude prices increasing and inventories returning to the five-year average despite the US boosting shale oil production. 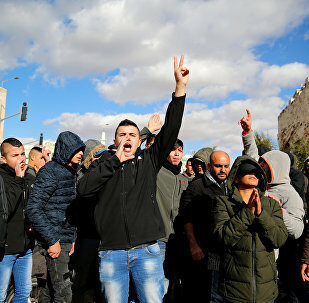 On Wednesday, 128 members of the United Nations General Assembly approved a resolution that rejected US President Donald Trump's acknowledgement of Jerusalem as Israel's capital. The US State Department announced on Friday that they had finalized a deal to supply high-end ordnance to the Ukrainian military, including Javelin anti-tank missiles. Both Washington and Kiev insisted that the weapons were solely for defensive purposes. 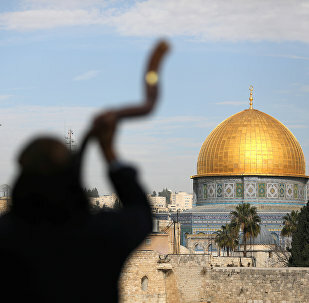 WASHINGTON (Sputnik) - US President Donald Trump is going to learn that the Palestinian people cannot be bribed to abandon their historic ties to the holy city of Jerusalem, the Reverend Dr. Mitri Raheb, pastor of the Evangelical Lutheran Christmas Church in Bethlehem told Sputnik. The commandant of the United States Marine Corps, Gen. Robert Neller, has recently emphasized Russia and the Pacific region as US strategic goals. Speaking to Sputnik, Russian analysts commented on Gen. Neller’s remark, shedding light on Russia's tactics and defense capabilities. 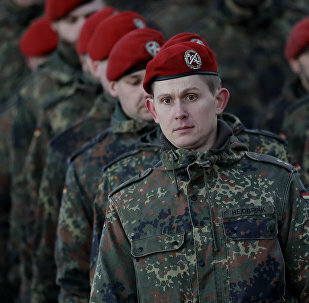 EU's PESCO Pact: Viable Alternative to NATO or Much Ado About Nothing? Dubbed a potential alternative to NATO, the EU's Permanent Structured Cooperation (PESCO) has triggered a heated debate, prompting some observers to suggest that the signing of the EU defense pact has marked the beginning of the end of the transatlantic alliance, while others have thrown the efficiency of PESCO into doubt. While it has been revealed that the Al-Qaeda terrorist group has cells in over 80 countries around the world, Radio Sputnik discussed the issue of tackling terrorism with security analyst and political commentator Dr. Manoj Joshi. India’s economy may overtake economic powerhouses like the UK and France and become the world’s fifth largest economy by next year, according to a report by the Centre for Economics and Business Research’s 2018 World Economic League Table. MOSCOW (Sputnik), Tommy Yang - North Korea made significant progress in its nuclear arms program in 2017, firing a wide range of ballistic missiles and successfully testing its most powerful nuclear bomb in September after US President Donald Trump’s ramped up his harsh rhetoric. With the World Health Organization planning to include “gaming disorder” in its global list of illnesses, Dr. Anthony Bean, a clinical psychologist, told Radio Sputnik that many people see video games as a means of overcoming frustration and stress of their everyday life.